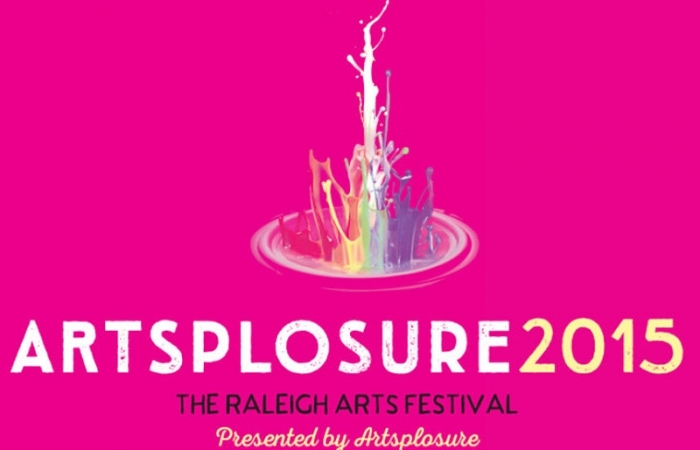 Explore the color and creativity of the juried art market at Artsplosure – The Raleigh Arts Festival 2017. 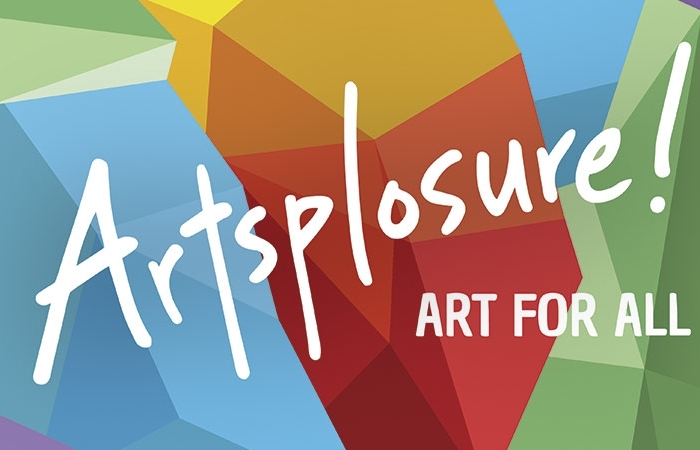 Artsplosure is one of the largest and highest quality art markets in the Southeast! This year’s art market features over 170 visual artists in various mediums for all three days of our festival. Vendors will be set up along the entire length of Fayetteville Street and its cross streets. Every artist at our festival creates original artwork, so every item is completely unique! We strive to make our art market full of variety. As with the rest of our festival, there is something for everyone at the Artsplosure art market! Hundreds of artists travel from around the country and around the state to showcase their craft at our market. Let’s meet a few! 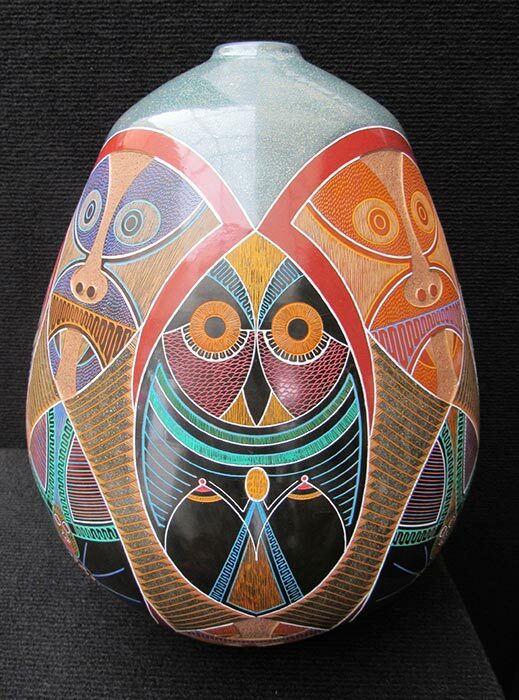 Luis Enrique Gutierrez is a master of contemporary ceramic sculpture. Guiterrez learned from his father Helio Gutierrez at a young age. His developments of color and geometry have evolved into a sophisticated style born of his heritage and enhanced with his contemporary methods. Okita captures the realism of nature and manipulates it into the world of imagination. 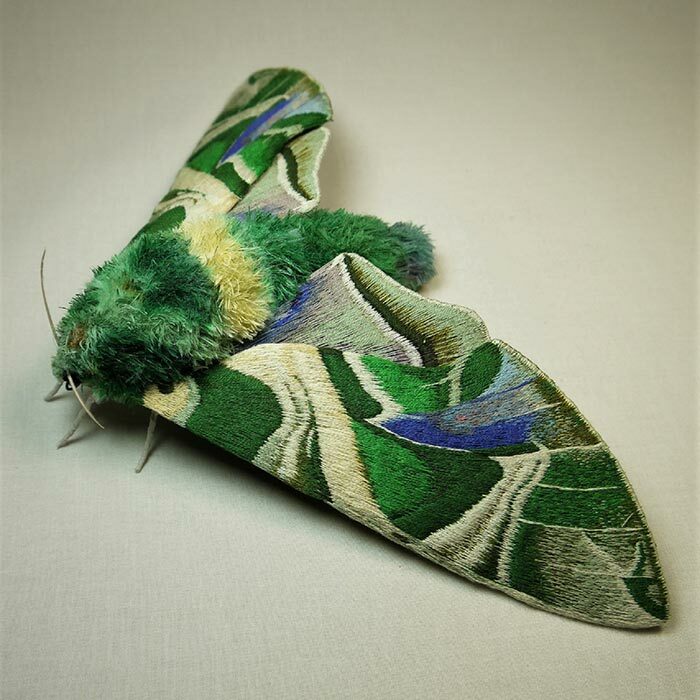 Her series of botanical and insect fiber sculptures amaze and enchant. Each piece is created out of hand painted cotton fabric that is embroidered with layers of threads creates texture and color. 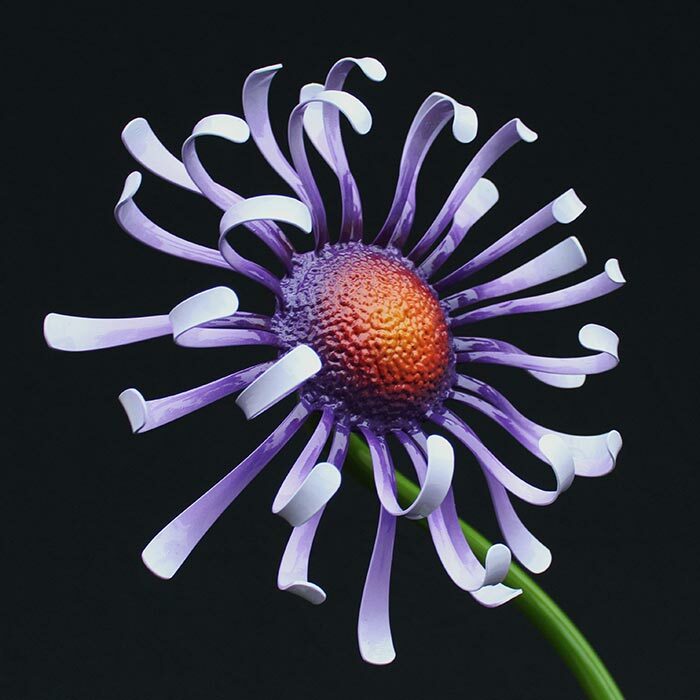 Keeler creates hand blown, lampwork, borosilicate/pyrex glass. Each piece is individually hand blown using a torch, my breath, and gravity. The torch burns in excess of 2500 degrees Fahrenheit, with a gas mixture of propane and oxygen. 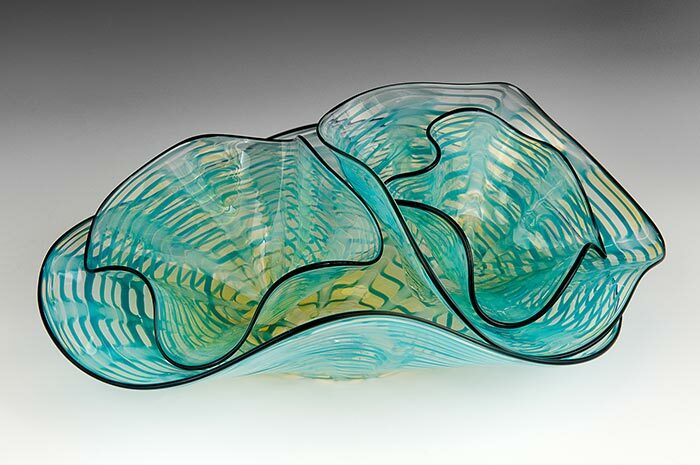 When the glass is molten he shapes it with his breath, gravity, and other rods of clear glass, while draw with colored glass rods layering and melting them into the clear glass until the intended design and color is achieved. Clark hand fabricates everything from silver and gold sheet and wire, and draws inspiration from a combination of architecture and nature. She enjoys balancing strong structures with delicate textures and patterns. 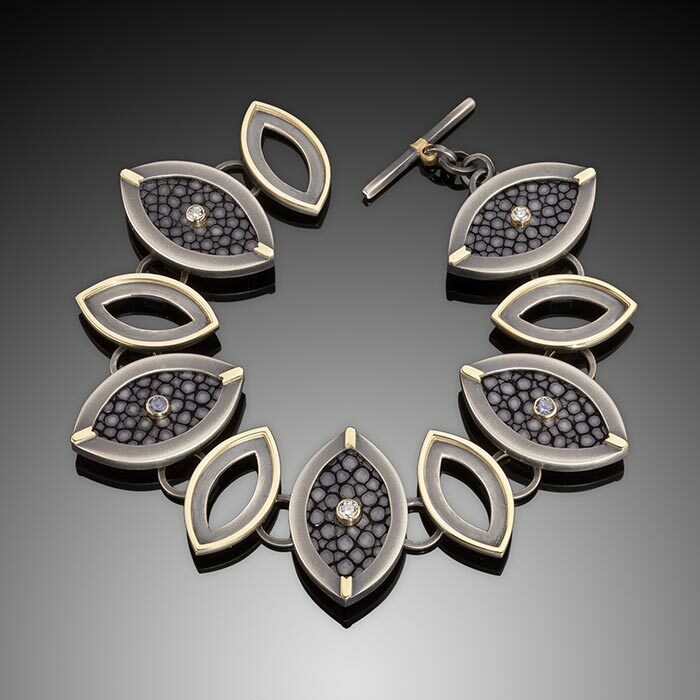 In 2010, Clark began incorporating stingray leather into her work, which she treats like a precious stone by making hollow forms and inlaying the pieces. Matthew J. Leavell is a self taught Mobjack, Virginia (Mathews County) based artist currently focusing on the creation of small and medium scale sculpture in steel, cast iron, wood and glass. He primarily utilizes salvaged and recycled materials, preferring raw materials that bring their own history, character, and soul to a new work of art. 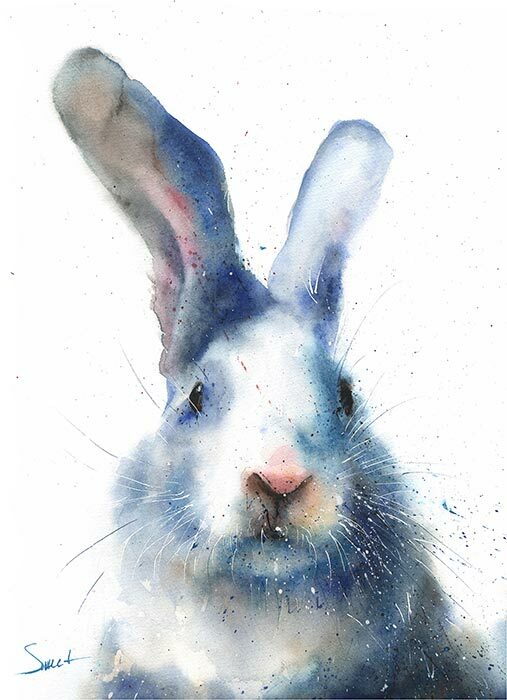 As a wildlife artist, Sweet says that his painting is his way of deepening this very personal relationship. Sweet says that nature has always been the gateway to spiritual and emotional peace and the animal world has been his vehicle. The relationship to the animal spirit is the driving force behind his work and his sole motivation. 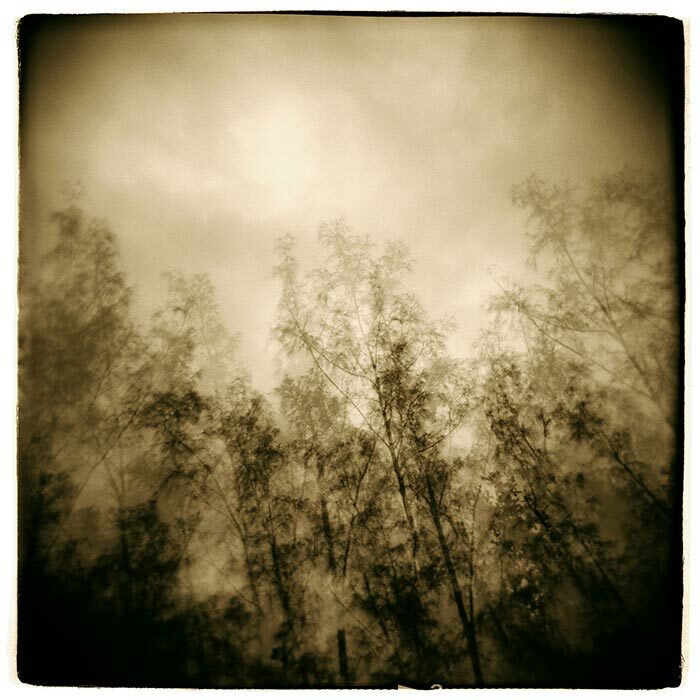 Bryant’s photography is created with a 120mm black & white film using a Holga camera. Each Holga is different and its imperfections affect the film in an individual way. Light leaks are common, although I wrap my camera in Velcro to minimize them. The Holga is a plastic camera of poor quality first produced in China in 1982, which was cheap in order to be the camera for the masses. The overall effect of the technique is an image that utilizes but doesn’t record what is seen in the viewfinder. Bryant says that the source of my work is in his head, not in his camera. It is his own personal version of the truth. Wilson’s artistic strength is his capacity to select those moments that transcend the personal and can reach a broader audience. 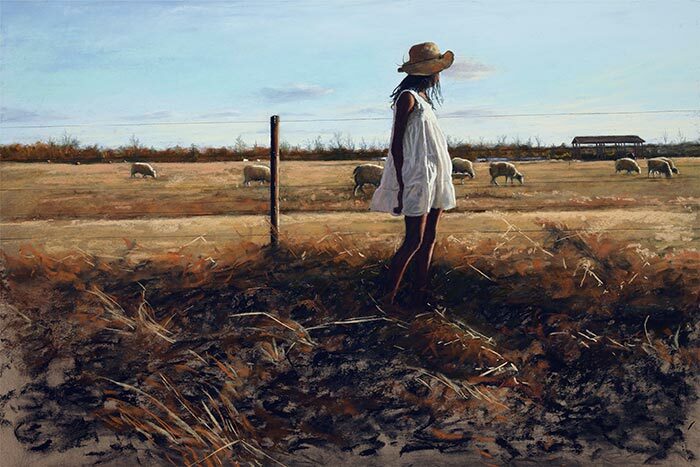 Some paintings are nostalgic, some express those human connections that are only found within the family, and some express the challenge; in all his paintings there is warmth and discretion. The artist does many commission portraits as well, and has that uncanny capacity to extract personality and depth from his subjects faithfully represented in his realistic style. Hickman turns discarded objects into art. Broken tape measures. Animal bones. Busted pliers. Rusted metal and tin. Piano keys. Spindles from broken chairs. Gears, dials and knobs. Any and all old wood he can get his hands on. 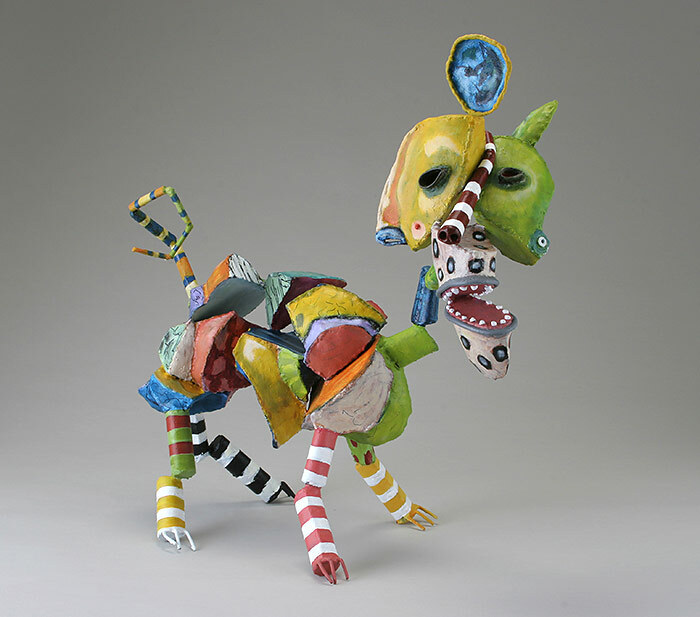 Hickman’s mixed-media art is created using the techniques of hand carving, painting, welding, illustration, whittling, assemblage, sculpting and wood burning. He attempts to bring different genres and mediums into one piece, by recycling, recreating, refinishing and redesigning ordinary objects and old materials to give them new life as art. By rescuing antiques, old hardwood flooring and other people’s “junk,” he tries not to just make art, but also to preserve little pieces of history. Mark Ellis is a contemporary furniture designer who has decided to take the mid-modern element and applying it to form a new style of bird houses. 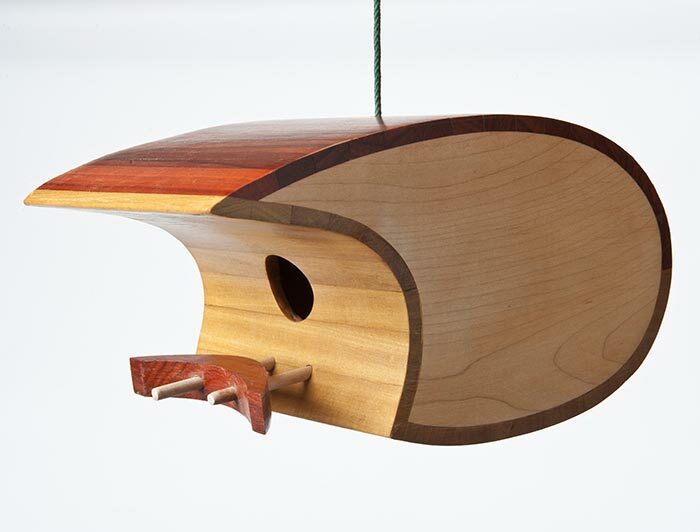 The birdhouses are Eco-Friendly and made with tropical hardwood scraps from tropical hardwood floor manufacturers. All glues and finishes are water based. 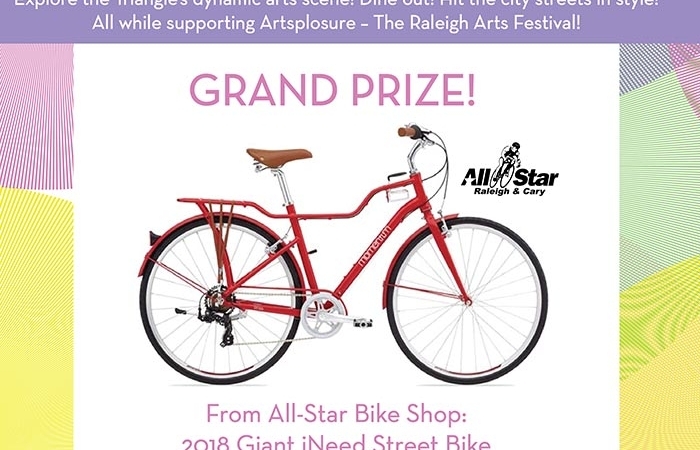 The Artsplosure Spring Raffle Is Back!